Eclipse premiered at the start of November at the Banff Mountain Film Festival and claimed the Best Snow Film Award which was a huge honour. 3 days later it went live on the Salomon Freeski TV Youtube channel where to date it has over half a million views and counting. Along the way the film picked up a Vimeo Staff Pick as well as a stream of main stream media buzz. National Geographic adventure blog featured an article with Brody Leven while Outside Online featured the film and article by Devon O'Neil. Eclipse has since picked up 3 more awards including Best Visual at the Kendal Mountain Film Festival, Best Adventure Film at the New York Wild Film Festival and Best Mountain Culture Film at the Whistler Film Festival. Photographer Reuben Krabbe also claimed the prestigious Photo of the Year award at the Powder Awards for his image. The response has been overwhelmingly positive and the film has appealed to skiers, photographers, outdoor people and non-outdoor audiences alike. This trip to France last year with Salomon Freeski TV was a real treat. We spent 10 days living in a chalet in the mountains above Val d'Pres, near Briancon. Emile Roman, the owner rebuilt the chalet himself with wood from the surrounding forest. Th chalet has been in his family since the 1700's. The chalet is off the grid with no phone or internet and powered by solar. With some incredible terrain for ski touring right out the door and no resorts, it is a unique location. The story centred around Emile and a local group of conservationists inspired by Emilie Carles, who have fought to keep the valley free of a highway and tunnel into Italy, along with the development that would have come with it. That Roman and his wife Annick allowed us to stay in their chalet was extremely generous of them as it is not usually open to anyone who isn't family. I was joined by Bjarne Salen, Scott Markewitz, Mark Abma, Leo Ahrens, Tony Lamiche and Timothee Theaux. It was a great trip where we all got to enjoy some time off the grid ourselves. Look out for some editorial from the trip written my myself and accompanied by Scott Markewitz's photos. In March, 2014, I had the chance to return to Iceland for my third trip. I was a filmer on a Salomon Freeski TV shoot joined by Jeff Thomas, Mattias Fredricksson, Leslie Anthony, Mark Abma, Chris Rubens and the late Andreas Fransson. It was great to go back to a place that I find truly magical. The Icelandic reverence for the mystic is fascinating and connects them to their landscape and heritage. We spend our time skiing with Jokull Bergman at his families heliski operation based in the farm house he grew up in near Dalvik on the Troll Penninsula. It was not a trip with an abundance of skiing due to one of the most intense and exhilarating storms any of us has sat through. The wind blew for 3 days straight at close to and over 100km/hr, burying roads, blowing a shipping container into a house in town and making the 30m journey from the barn to the dinning room an expedition. To read a great account penned by Les Anthony, read his Mountain Life Annual blog here. But in the moments between the elements flexing their muscles, we skied some unique mountains, even down to the dark North Atlantic Ocean, and this is one of the most aesthetically unique episodes I have shot. I hope you feel the same. We finished the trip with a few days in Reykjavik--one of my favourite cities--sightseeing and partying for Jeff's birthday. If you ever have a chance to spend some time there, do it. Make it a trip, or extend a layover en route to somewhere else. Vibrant, friendly, chic and brimming with arts and culture, you won't be disappointed. Huge thank you to Jokull and his Arctic Heliskiing crew for their warm hospitality, incredible food and access to some stunning mountains. P.S. The voice over in this piece was read by Ollafur Dari. For those that have seen "The Secret Life of Walter Mitty" Olafur is the drunken helicopter pilot. I love that he was excited to read for us. Since September last year I have been working full time with the awesome folks at Switchback Entertainment best known for producing Salomon Freeski TV. I came on to help Mike Douglas with his first feature length documentary about his best friend Kevin Fogolin who was in a crazy helicopter crash that is something out of a "Die Hard" film. We spent the winter following Kevin, filming avalanches and the backstory to their childhood and now we are in the final stages of post production. We launched a Kickstarter campaign to help raise the funds needed to complete the project and give people a little sneak peek at what we have been working on. Enjoy and if you like what you see, I encourage you to pledge on Kickstarter and become a part of the film. In March I travelled to Norway with the Salomon Freeski TV crew to film an episode for season 7. The finished product released this week. Watching it, I had some fond memories of a great trip with Chris Rubens, Andreas Fransson, and Greg Hill along with filmer and editor Jeff Thomas and photographer Mattias Fredriksson. The narration was written and crafted by Leslie Anthony and really brings it all together. A huge thanks to the great Norwegian folks whose hospitality we received. Fjord Norway for arranging the entire trip. Arne and Stein-Mangna at Actin Adventures for our sailing adventure. In January last year I travelled to Austria to shoot a Salomon Freeski TV episode. Austria is the borth place of modern skiing and coupled with its zealous following of ski racing, it is a place that one must visit as sort of skiing pilgrimage. This episode pays tribute to the past, the racing culture and new freeride movement. Hopefully it makes you want to go ski. Enjoy! Origins from Selkirk Wilderness Skiing on Vimeo. Last March I joined the Sherpas Cinema crew at Selkirk Wilderness Skiing in Meadow Creek, BC. SWS was the first catski operation ever, and they hired the Sherpas to capture the legacy and the still incredible skiing that made this spot Alan and Brenda Drury's first choice destination in 1975. And you can be sure that it still gets some of the deepest and lightest snow on the planet as is evidenced by the conditions we had during the week we shot at the lodge. Enjoy and prepare to have a hankering for some powder. 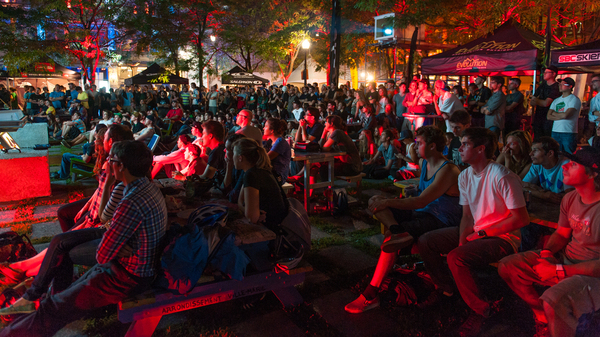 It's that time of year again when the International Freeski Film Festival (IF3) lights Montreal up for 3 days of films and parties. 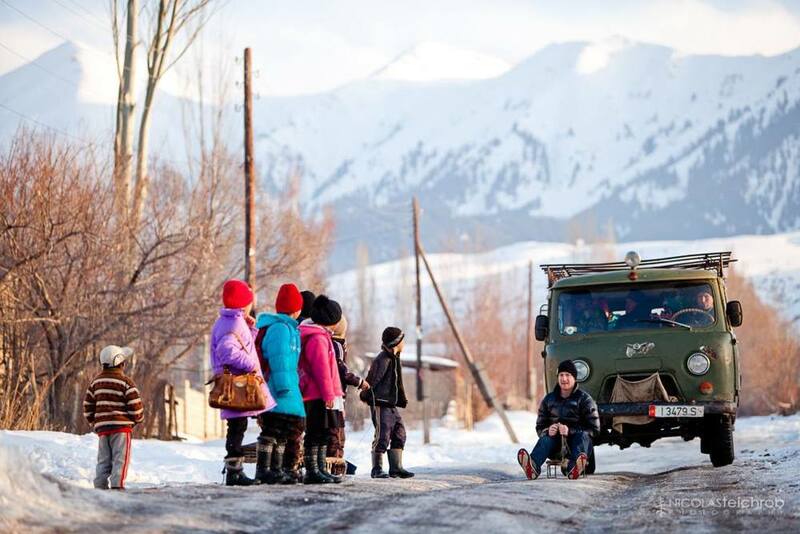 This year I was glad to have Jalpak Tash, the short film I directed in Kyrgyzstan, make its world premiere to an open air crowd at The North Face Outdoor Theater. Playing on the first evening along side some of the years best films was a real honour and it is always nice to know that your work is appreciated and that skiing remains diverse and open. A huge thanks goes out to Felix Rioux and his IF3 team for continuing to develop an awesome event and platform for the freeski community to gather and for filmmakers to showcase their work. Secondly thanks again to The North Face for making Jalpak tash possible. Camped out at 2000m in the alpine above the old mining town of Bralorne two hours north of Pemberton, BC, was where I found myself at the end of August. Working with Sherpas Cinema filming Mike Hopkins and Kamloops' latest rising star Matt Miles lay down first descents in the Bendor Range was a true highlight of a pretty action packed summer. An exploratory mission made possible by The North Face, the idea was to document a frontier of mountain biking only now beginning to be explored- true freeride, big mountain descents. Equipped with quad bikes and old miners roads Mike at Matt setup a shuttle circuit that gave them access to 2000ft shale lines right out the front of camp. The helicopter came in once the boys found their rhythym and then things got really exciting. Flying deeper into the mountains we found larger and larger chutes that offered the most adventourous style of riding I have ever seen. Having seen the descents with my own eyes, watching footage and reviewing Blake Jorgenson's photos, the scale is still difficult to wrap one's head around. Thankfully, you will get the opportunity to try to understand the ruggedness of the riding and the landscape when the edit is complete so watch this space. To see some more pictures from the week check out Blake's awesome gallery here. During the Crankworx Mountain Bike Festival here in Whistler I was contacted by photographer Scott Markewitz to help edit his Deep Summer Photo Challenge slideshow. Scott is a stalwart in action sports photography with over 400 covers to his name. The format for the competition is that 6 photographers have 72hrs to shoot photos and a day to compile their slideshows before being judged in front of a raucous crowd of mountain bikers. Having always enjoyed the event as a spectator it was fun to be on the otherside of the equation. The capture was all Scott and it was a blast hanging out with legends like Brett Tippie, Richie Schley along with Katie Holden, Cam Zinc and the inseparable Bernie Kerr and Eliiot Jackson. Be it standing in the forest listening to Tippie's jokes, trying to write haikus, or trying to record voice overs of said haikus, I haven't laughed that much in a long time. Putting the slideshow together was arduous at times, more so because of a lack of sleep and an imminent deadline. It wasn't without it's glitches either as we previewed the final export 20mins before the deadline only to have an issue with the music. We resolved it as we drove to deliver the file and made the 6pm deadline. The next evening the show went down outside at the Olympic Plaza and was joined by 5 other really great slideshows. In the final washup we claimed second behind rising star Rueben Krabbe. I'd like to thank Scott for the call, the athletes for the good times and Michelle Leroux for creating and putting on such a great event. Finally, a massive shoutout to Dave Petch for the rocking tune to bring the images to life. In 2010, Greg Hill ski toured 2 million feet in one calender year. It was a super human feat. In March of 2011 I had the oppurtunity to fly into the Freshfields Glacier to shoot with Greg. Sherpas Cinema edited the peice together. Enjoy! I recently returned home from the USA where I joined the Pole to Pole Run expedition. As you might expect, it is a run from the North Pole to the South Pole and being undertaken by an Australian ultra marathon runner named Pat Farmer. He is running two marathons a day (85kms), everyday with no days off. You read correctly, no days off. And all of this to raise money and awareness for the International Red Cross. GREENHOUSE BY JOOST from The Design Files on Vimeo. My father recently turned 60 (high-5 to the old man) and for his birthday my family back in Australia went out for dinner at the concept restaurant "Greenhouse by Joost" on Sydney Harbour. The building is completely recyclable, and all the waste is compostable. It is a really inspiring concept as you will see from the film. From all reports, the food was really tastie also!